If you would like to learn more about our wood hot tubs, our wood-fired systems or our conventional gas and electric heat systems, go to Info About Hot Tubs. Or read Owner Comments for the impact that natural hot tubbing has had with our customers. 2009 and 2010 were banner years for Snorkel® Hot Tubs with a "starring" role in the MGM movie Hot Tub Time Machine leading the way. Filming began in summer of 2009 and the movie was released in March, 2010. In addition, to its first appearance on the silver screen, Snorkel® Hot Tubs made two appearances on HGTV, in a Superscapes episode filmed and aired in 2009 and a Yard Crashers episode filmed last year and aired in 2010. To celebrate our appearance in Hot Tub Time Machine, we had two special Hot Tub Time Machine promotions. Following the premise of the movie, we rolled back the price of a hot tub to 1986 prices for one lucky hot tub purchaser who bought between January 1 and March 31, 2010 and for another who bought between April 1 and June 30, 2010. The winner of our January–March Hot Tub Time Machine contest was Cristina Hauck, who purchased a 5x3 Deluxe package with accessories. She won $1819 when her name was drawn to have her purchase priced at our 1986 prices. The winner for the April–June contest was Carl Rood, who purchased a 5 x 3 Super Saver package. After his tub was priced at our 1986 prices, he won $1246. Be sure to check out our Media tab too. Looking for another chuckle? Read "Mid-Life Hot Tub" by Ted Olinger in News. We recognize that it’s an act of faith to purchase something as significant as a hot tub from a distant supplier. 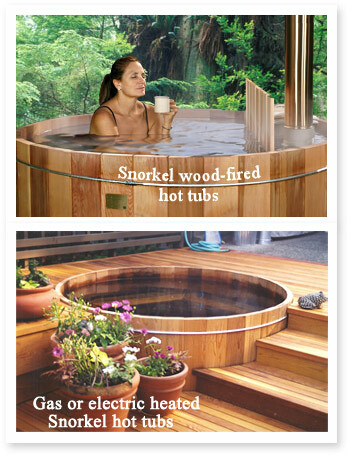 Rest assured that you are getting the best hot tub available when you choose Snorkel. We use only the finest quality materials and components manufactured to our exacting standards. We promise to live up to your faith in us, just as we have for thousands of customers over the last 30 years … is backed by our MONEY BACK GUARANTEE.